This Week’s Read: Katie O’Boyle!! Hi everybody. This week I am hosting a wonderfully insightful author. 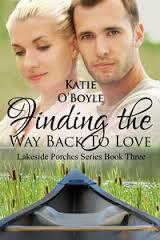 Katie O’Boyle and her book Finding the Way Back To Love. Just from what I have read of this story, it sounds amazing and interesting and worth reading again and again. So please, check out Katie’s book and find out how good it really is. Enjoy!! Gwen Forrester, Ph.D., 32, gifted psychotherapist and beautiful widow, is stuck in a rut, dating hotties on the fast track. What she really wants is a life partner who’ll help her raise a family and make a difference in her home town, Tompkins Falls. New in town, Officer Peter Shaughnessy, 30, has recovered from the gunshot wound he suffered in a drug bust in the city of Syracuse, but he’s still smarting from his ex-wife’s betrayal and, before that, the years of abuse from his alcoholic father. It feels like fate to Gwen when her very-pregnant niece Haley trips the security system at Gwen’s lakeside home and Officer Shaughnessy takes the call. By joining forces to help Haley, Peter and Gwen discover they’re a good team. Long, exhilarating canoe trips convince them they’re on the same page with their life goals. Then a destructive squall lands them on the rocks, and a night of stormy passion reveals painful truths that drive them apart. Are they willing to go to any length to find their way back to love? 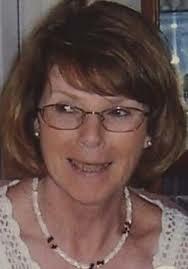 Gwen comes from a wealthy, loving family and devotes her life to helping alcoholics in recovery. Peter, the scarred-for-life son of a hopeless drunk, is dedicated to law enforcement. They’re hot together! She’s a recovering alcoholic herself, though, and he never lost his disdain for alcoholics. When the going gets tough, will their differences destroy their love? “Gwen Forrester?” Peter asked. At her nod, he stepped aside. “Ma’am?” Peter got no response. He might as well be invisible. “Ms. Forrester?” he said louder. Gwen turned with a look of pure joy, cheeks flushed, eyes wide. She was a chic, older, ash-blond version of Haley. Even more beautiful. “Gwen,” she reminded him with a flutter of thick, dark eyelashes. He opened his mouth to repeat the caution but closed it again. His partner had told him Tompkins Falls operated more like a small town than a city. This definitely wasn’t going by the Syracuse Police Department procedure book that he still had in his head. “You’re a wise man, Officer Shaughnessy.” Gwen dabbed at her eyes with her napkin and gave him a grateful smile. He drank down his juice and slid off the stool with a fluid motion that rippled the muscles of his torso, under his tight, white T-shirt. A thrill shot through Gwen. Peter wondered what it was like to have two loving parents. “That’s a recipe for disaster.” On the left, a popular lakeside park stretched for two miles. He usually went for a run on the gravel path after his shift. “What do you mean disaster?” Sam asked. Peter sensed his partner’s gaze on him. He glanced over and saw both Sam’s eyebrows raised in amusement. The wind picked up speed. Gwen’s breathing grew labored. A wave gushed over the gunwale behind her. And another. Keep going. The pitch of the hillside changed subtly. She rested for a few seconds and squinted at the shoreline, seeking a welcoming cove or a low spot where they could land. Nothing yet. She dug in hard for another mile, but she wished she could hear Peter so they could work in synch. As it was, she made his job harder. Whether she paddled too fast or too slow, he had to correct their course. With the looming storm, the sky darkened as if it were twilight. She turned back to Peter and saw his head low, his shoulders straining. She dug her paddle in and prayed. Every stroke mattered. About half a mile farther, waves assaulted the canoe. Gwen’s lungs labored, and her shoulders burned. The eerie light gave her shivers, but it was bright enough for her to see a stream and a thin waterfall that sliced through the hillside and plunged into the waters of a rocky bay. Nine Mile Bay. The hillside from this point north was still steep, but rough tracks cut through the tree cover. Four-wheel-drive vehicles had access to a few remote houses much of the year. We’ll find shelter. “Soon,” she yelled above the wind. A flash of lightning on the western shore shot fear through her body. A sob escaped her. Amy, I really enjoyed answering your questions! I wasn’t to know how YOU would answer each and every one of them! This is going to be a great blog. Have you ever had a moment when you just got stuck in your writing? If so, what did you do to break free from it? Whenever that happens, it’s my brain asking for a much-needed break! I take a meditative walk outdoors, sometimes with my camera in hand. If the weather is beastly, I do some yoga instead and use imagery to imagine myself in some spectacularly beautiful place. For romance I love The Chesapeake Diaries series by Mariah Stewart, and I laugh out loud at Kristan Higgins. In your opinion, what makes a really good book? I recently attended a workshop by Roxanne St. Clair that helped me crystalize the process that works best for me when I’m writing romance. Although I have a good idea of where the romance is heading, I write scene by scene, revise as I work, and pause once or twice to review and revise the work to date. What does it look like day-by-day? Lately, I’ve been getting up early (before sunrise), fixing coffee, and writing much of the morning. If you could live in any period, when would it be? Why? Honestly, I love the present day, and this is exactly where and when I want to live! Every age has its horrors and foibles and miracles. Today is no exception. I try to make the most of each day, focus on what’s going good, and act with kindness toward everyone I meet in the course of the day. Born in the upstate-New York village known as the Birthplace of Women’s Rights, Katie O’Boyle loves the Finger Lakes in every season. That’s why she set her Lakeside Porches romance novels in Tompkins Falls on Chestnut Lake. To the outside world, she is a tech-savvy college professor. To friends and readers, she is the author of warm-hearted romance. 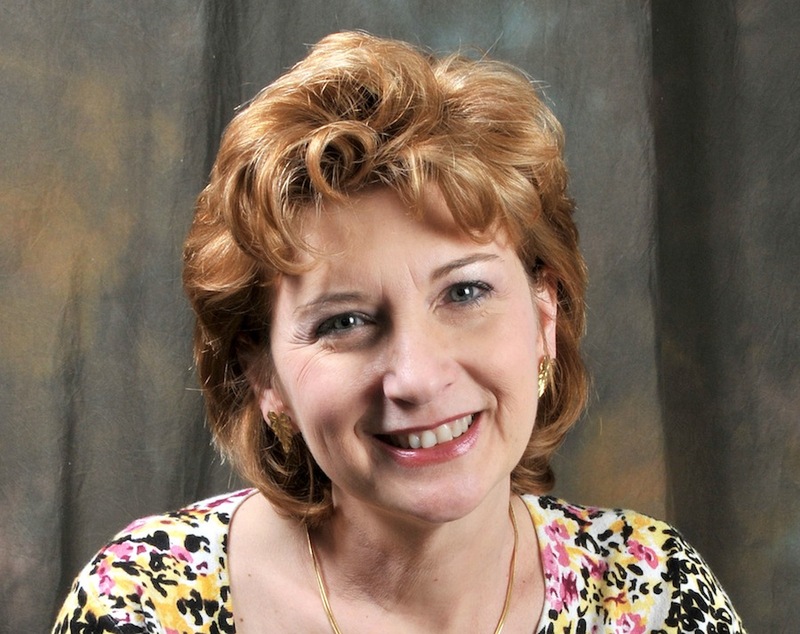 She recently finished writing book four of the Lakeside Porches romance books and novellas and is planning book five. This Week’s Read: Claire Gem!!! 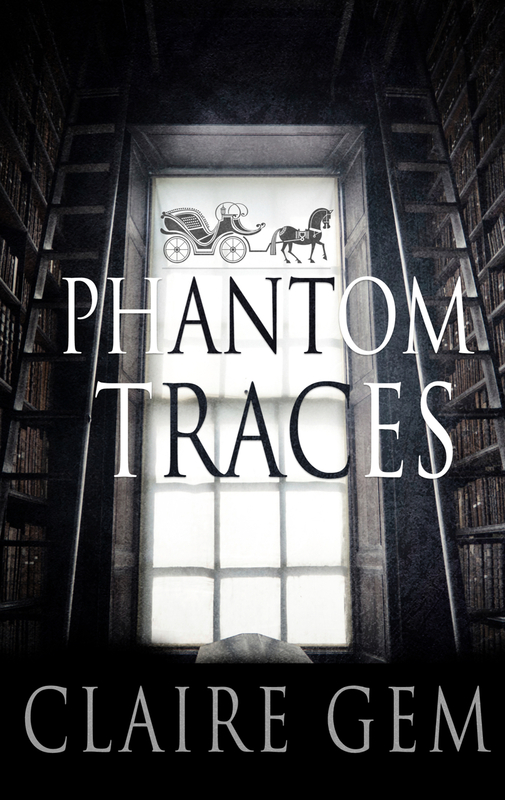 Today I am hosting Claire Gem and her book Phantom Traces. I can honestly say that this is one book I will be picking up to read. It has everything: mystery, romance, ghosts, and best of all-BOOKS and LIBRARIES!! I hope that you all will check this book out. I am sure that it will be an amazing read. Enjoy! My husband LOVES orange cake. It’s his favorite so when I came across this recipe, I had to try it. It is abaolutely delicious! 1. Prepare mix as instructed. 2. While still warn , poke holes in cake with the end of a wooden spoon. 3. Mix jell-o as directed and pour over cake. 4. Put in fridge to cool. 1. Mix vanilla pudding with cold milk. Spread frosting on cake and enjoy!! Just have to let off some steam….. I would just like to take a moment to rant a little if u don’t mind. Why is it that ex’s (as in ex-wives, ex-husbands, or anyone type of ex) feel the need to try and tear you down? And why, when there are kids involved, do these so called “adults” act like children and actively manipulate the real kids, convincing them that the other parent is a horrible, selfish person while playing the victim thselves? And when there is domestic abuse involved and the kids still side w the abuser bc he’s so sick and helpless and can’t work, what is a honest, hardworking parent to do? Especially when everything they do to make things easier for the kids is basically non-existant in the face of the the lying and manipulatives ways of the other “adult”? And when DHS refuses to step in after numerous calls about the filthy living conditions that said kids are inhabiting while with this irresponsible parent. With not enough money to hire an attorney, what can be done?